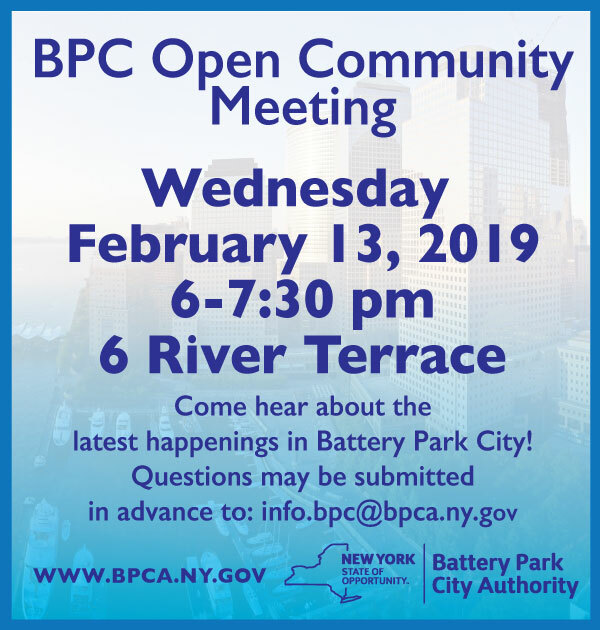 Please join us Wednesday, February 13, 6:00PM at 6 River Terrace for our next BPC Open Community Meeting! These “town hall”-style sessions provide a public forum to discuss updates, happenings, and issues in and around Battery Park City. Submit questions in advance to info.bpc@bpca.ny.gov. To view archived video from our previous Open Community Meeting, click here.